Ceramic Foam Filter Suppliers﻿- AdTech Metallurgical Materials Co.,Ltd. Ceramic Foam Filter Suppliers keeps focusing on the manufacture of the metallurgical material. Ceramic Foam Filter Suppliers AdTech produces materials and provides service for high temperature filtration and purification with strong technical strength and management system. AdTech is located in Wen County,China which covers an area of more than 20 acres with 20,000 square meters of workshop and warehouse. AdTech serves customers from dozens of countries and regions including China (Chinese Aluminum Industry, Zhongwang China, Weiqiao, Midas), Middle East (Aluminum Bahrain , Dubai Aluminum, Midal Cables), Southeast Asia (Press Metal, GVA, Jindal, ) and Europe (Hydro, Rusal), etc. AdTech has established long-term relationships with a number of world-famous enterprise. AdTech is a worldwide supplier and solution provider of high-end online degassing unit and high temperature filtration and purification material in high precision aluminum casting industry. 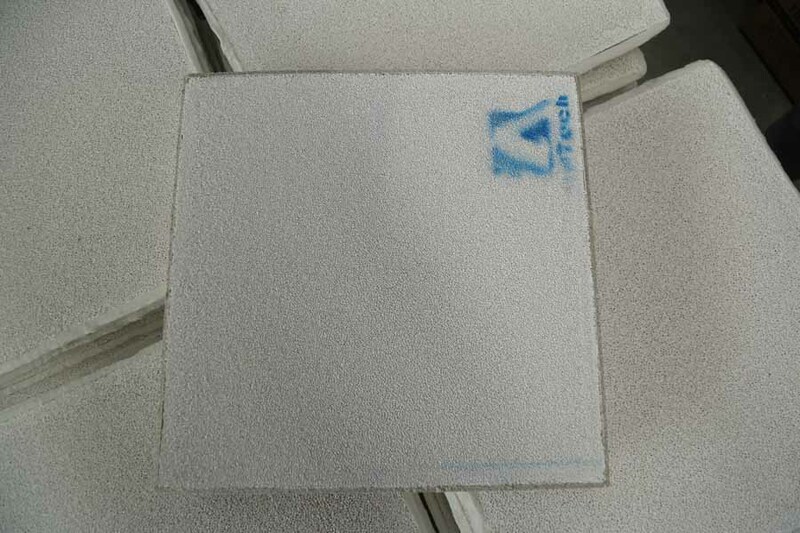 Ceramic Foam Filter Suppliers AdTech was founded in 2012, and the China plant has been put into production by the end of 2013. AdTech is an international enterprise concentrating on R & D and manufacturing online degassing and filtrating equipment, ceramic foam filter, hot-top casting materials, nozzle board, repair coating material and flux. AdTech China factory has acquired the ISO 9001 and ISO 14001and SGS. Now AdTech China factory has 168 employees, including 15 staffs with senior (and above) professional titles. So far, it has covered all the equipment, filtration and high temperature materials required by the aluminum alloy casting industry which fully meets the requirements of customers for various orders. Ceramic Foam Filter AdTech has annual output capacities of 400,000 ceramic foam filters 1 million sets of hot-top casting materials,150 high-precision degassing filter equipment and 5000 sets of roll casting nozzles etc. Aluminum plant filter is made of non-stick aluminum material. It has the characteristics of non-stick aluminum. The product is white or milky white. It is suitable for the production of high quality and high requirements aluminum and aluminum alloy purification process through physical adsorption and Chemical action, which can effectively remove various oxidation inclusions generated during aluminum smelting process, thereby reducing casting defects, improving casting quality, and providing high-quality materials for further deep processing. Aluminum plant filter should be preheated before use. The filter plate is completely sealed in the aluminum water filter box to ensure that all the aluminum water passes through the filter plate, and the total amount of filtration must not exceed the specified limit. If the amount of slag in the aluminum water is too high, multiple pieces of filtration or reduction should be adopted. The amount is adjusted.